Jacob and I had a grand plan for our days off together this week, a plan that involved driving east to track down a Snowy Owl and tons of other birds. This was Plan A. But icy weather in the gorge and all the way to Walla Walla made us reconsider and implement Plan B instead. Plan B began with warmer and wet driving up to the Tacoma area to look for a Gyrfalcon. It was exactly where it was supposed to be at Joint Base Lewis-McChord. Easy peasy. 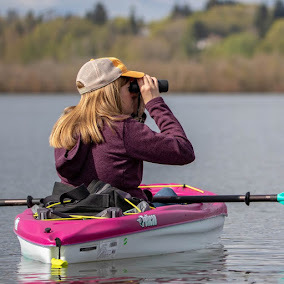 We set off on our next quest in Seattle where a flock of Common Redpolls had been hanging out at Green Lake. Again. I had looked for these birds with Audrey back in February 2016 and dipped. This time we got out of the car and walked the dogs over to the nearest birch trees and there they were. Easy peasy. Also, life bird! Most likely my last lifer of 2017. Views were not amazing but we were going to walk the dogs around and then return. Before we could do anything a Bald Eagle showed up and tried to nab a coot. Although I would enjoy forcing leftover cookies and cupcakes on you all I am instead talking about leftover birds. 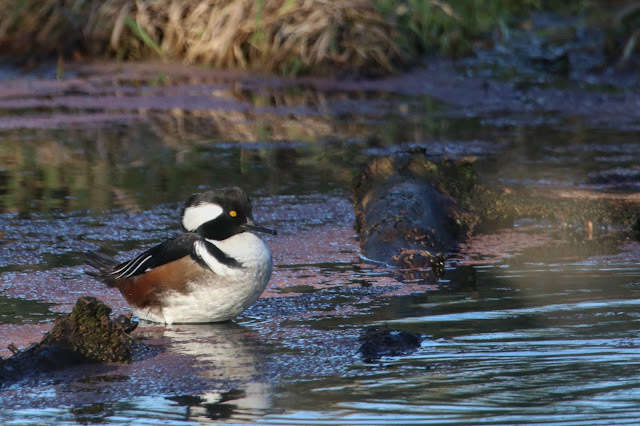 Per usual I've done some birding this month that never made it to the blog, so here I am to fix that. Let's start with a morning at Ridgefield NWR a couple weeks ago. I took 50 photos of this Gadwall because it looked weird to me. Of course now it looks like a completely normal Gadwall. It's common to watch birds murder their meals at Ridgefield. This is why people go there. Always a delightful place to spend a few hours. Another trip I failed to blog about was a search for a reported Snowy Owl at Leadbetter Point, at the tip of the Long Beach Peninsula. Jacob and I stopped a couple times on our way there, first for some reported Trumpeter Swans at Black Lake in Ilwaco. 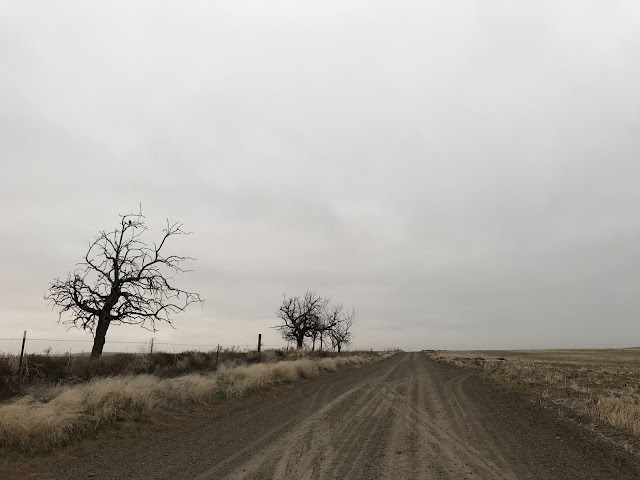 Last week I went out to Gilliam County for another raptor survey, this time the north route which includes lots of back roads between I-84 and Condon. It was cloudy and in the 20's most of the day. 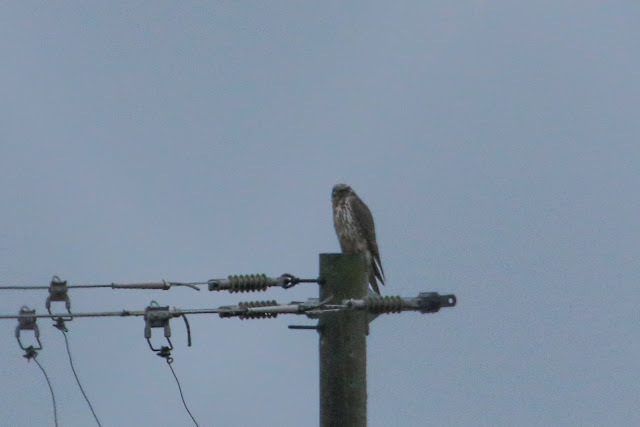 My first check mark of the day was a Merlin on Hoag Road that allowed me to creep up right next to it in my car. It seemed genuinely curious about me which is rarely the case with a Merlin. Sometime after that I found a nice big herd of at least 30 pronghorn lounging way out in a field. Along Ridge Road a Golden Eagle was keeping watch over an abandoned home. The route began to appear frosty and now I have learned a new term: hoarfrost. The link above explains it well but basically moisture in the air meets a frozen object like grass or a fence and the moisture turns from gaseous to solid state. The photos above are mild compared to what I saw later that day. Back to birds, along Flett Road a Northern Harrier spooked up three Chukars who promptly dove into a bush.